Turmeric (Haldi) is one of the most important herb in Ayurveda that cures many diseases. Turmeric has profund purifying effect on blood. 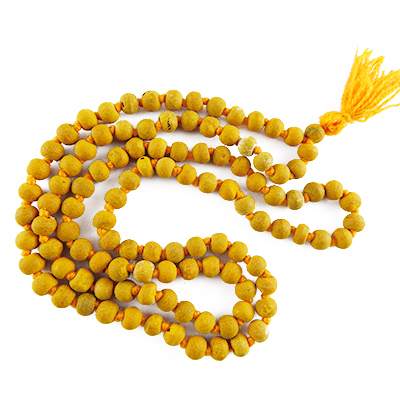 The mala is used for recitation of mantras during worship to bring success, to defeat enemies. It gives peace and spritual power, it relives of anxiety, depression and tension. It is made of Turmeric bulbs.